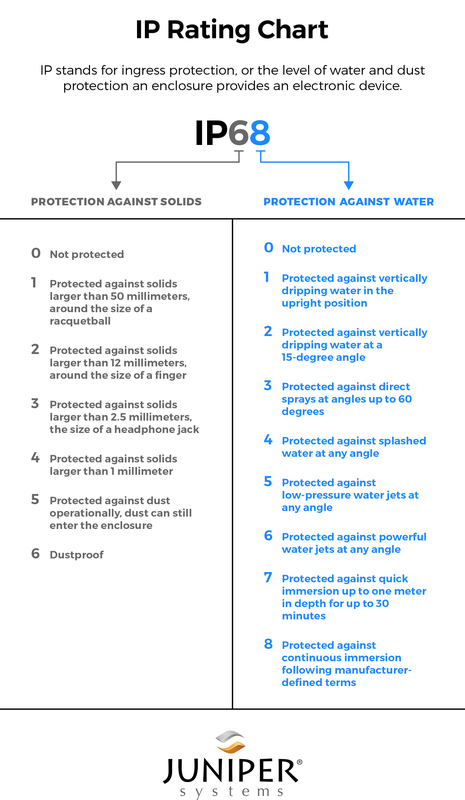 Many phone, tablet, and computer manufacturers tout their devices’ IP ratings, a certification that can validate claims that an enclosure is protected from water and dust. For field professionals, understanding an IP rating allows you to judge if a manufacturer’s bold device protections claims hold water – because some don’t. In 2015, the Australian Competition and Consumer Commission, a consumer watchdog group, claimed some retailers were using misleading ads to sell mobile phones. Consumers who used their devices like the actors in the commercials, the group said, discovered their devices quickly stopped working. Sony, in 2017, settled a class action lawsuit in which the plaintiffs claimed the manufacturers’ water-resistant devices were marketed and sold as waterproof, leaving them with broken phones. The IP rating, a decades-old standard, was designed to make those clarifications clear to consumers. 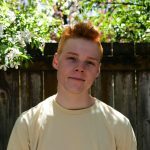 Where did the IP rating come from? The International Electrotechnical Commission, a worldwide electronics standardization organization, produced a standard called an IP rating to test and rate electronic devices. A device with a good IP rating is an important distinction for phone and tablet manufacturers. IP stands for ingress protection, or the level of water and dust protection an enclosure provides an electronic device. How does a device get an IP rating? A device with an IP rating could be tested by an independent lab, certified testing body, or by the manufacturer in-house. 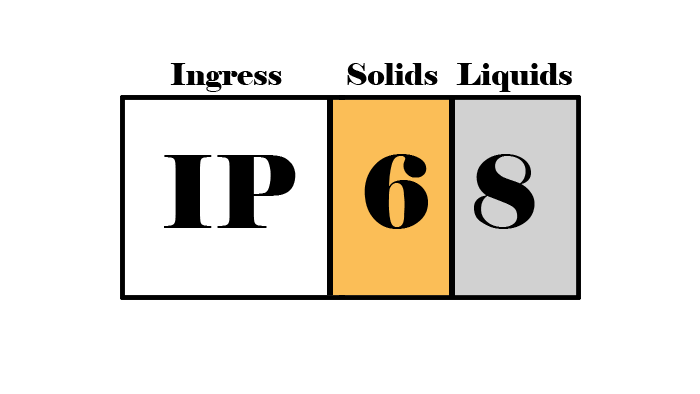 What does an IP rating mean? An IP rating indicates how a product enclosure holds up against solids and liquids with two numbers. The first number indicates the level of protection against solids like sand and dust. The second number indicates the level of protection against liquids. For example, an IP64 device is protected from splashing water like waves. An IP67 device can be submerged under a meter of water for 30 minutes. Both devices are protected from dust. However, a device can be IP67 – protected against submersion – and not IP65 or IP66, which would mean it can withstand pressurized water jets. A device that is protected against submersion and water jets would be certified IP68/IP65. The IP67 certification was, for many years, the gold standard certification for a device that manufacturers would call waterproof. An IP67 device could withstand water immersion for up to 30 minutes without water breaching its enclosure. Eventually, a new standard emerged. The standard called IP68 allowed manufacturers to define the length and depth at which the device would be tested. The defined terms were supposed to exceed the requirements of IP67. Charles Olson, Juniper Systems’ mechanical engineer manager, said the built-in ambiguity for an IP68 rating can be good and bad. Olson said it’s crucial that manufacturers are clear about a product’s IP68 test specifications. More importantly, he added, products should be tested to withstand water and dust in the field – because that’s where it matters most. How tough is the Mesa 2 Rugged Tablet? 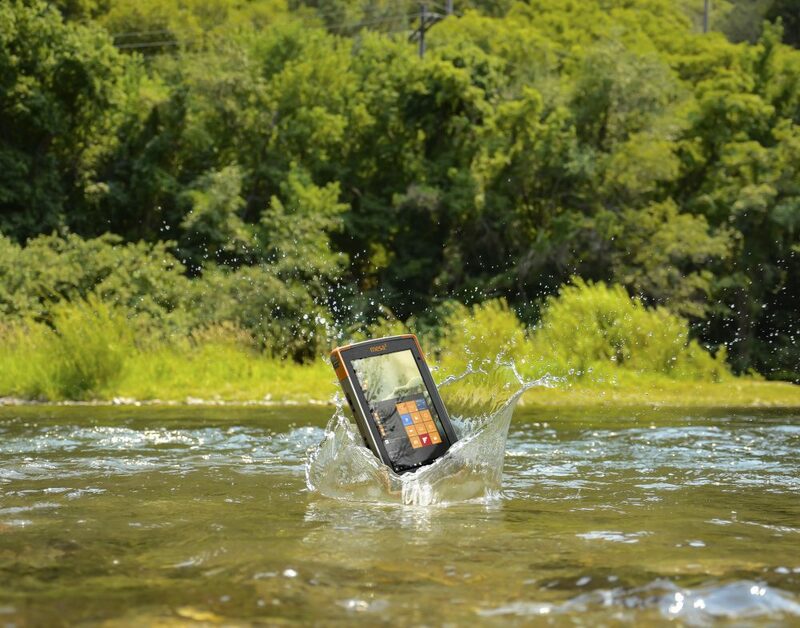 Juniper Systems’ Mesa 2 Rugged Tablet is rated IP68, meaning it’s dustproof and able to withstand 1.4 meters of water for up to two hours. Juniper Systems performs its own IP tests which have been certified by an accredited firm. In addition to being waterproof and dustproof, the Mesa 2 can withstand freezing and scorching temperatures, low pressure, balmy humidity, intense vibrations, and shock.